Minor bulbs create some of the first horticultural spectacles of the year in temperate climates. Less familiar to many gardeners than their larger relatives such as tulips, daffodils and hyacinths, they provide some of the earliest and most reliable color of any plants we can add to our Western gardens. 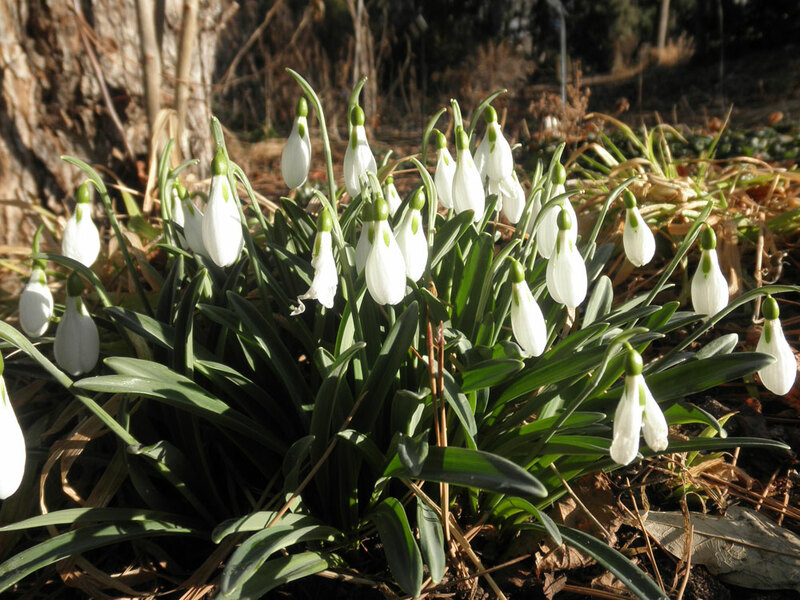 Minor bulbs include all the smaller species and cultivars of bulbs such as Crocus, snow drops (Galanthus), Siberian squill (Scilla siberica), striped squill (Puschkinia scilloides var. libanotica), dwarf bulbous iris (Iris Reticulata Group, I. histrioides), glory-of-the-snow (Scilla spp., synonym Chionodoxa spp.) and winter aconite (Eranthis spp.). Many of these species come from similar climates to Denver and thrive here with a minimum amount of care. Unlike many of the larger, showier hybrids like tulips and hyacinths, minor bulbs bloom year after year and often multiply from seed and offsets transforming favorable areas into shades of early color. The horticulture staff has been busy adding various minor bulbs to the collections for years. 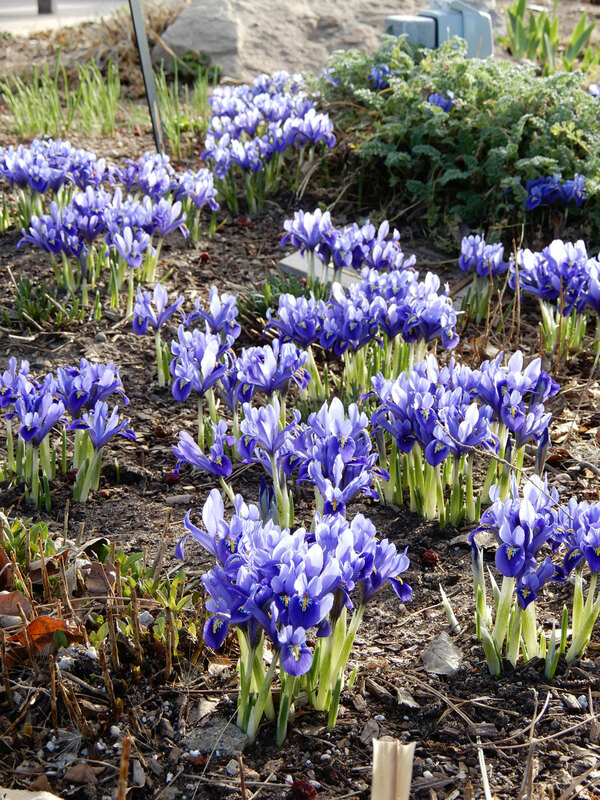 Starting at the front of the Gardens along York Street in the bed in front of the changing color wall, a lovely mass of blue and purple reticulated iris (Iris ‘George’) and light blue crocus (Crocus chrysanthus ‘Blue Pearl’) creates a swath of blue and purple in March. Moving into the Gardens, on either side of the path in Shady Lane just outside the Orangery, is a mass of glory-of-the-snow (Scilla luciliae and S. sardensis), winter aconite (Eranthis hyemalis), snow drops (Galanthus elwesii, G. nivalis and G. nivalis ‘Flore Pleno’), crocus, and other species bulbs, which bloom in March and April. This is one of my favorite areas year round, but spring is especially charming. To the south of Shady Lane is the Oak Grove where masses of Siberian and striped squill along with glory-of-the-snow light up the areas beneath the oaks. 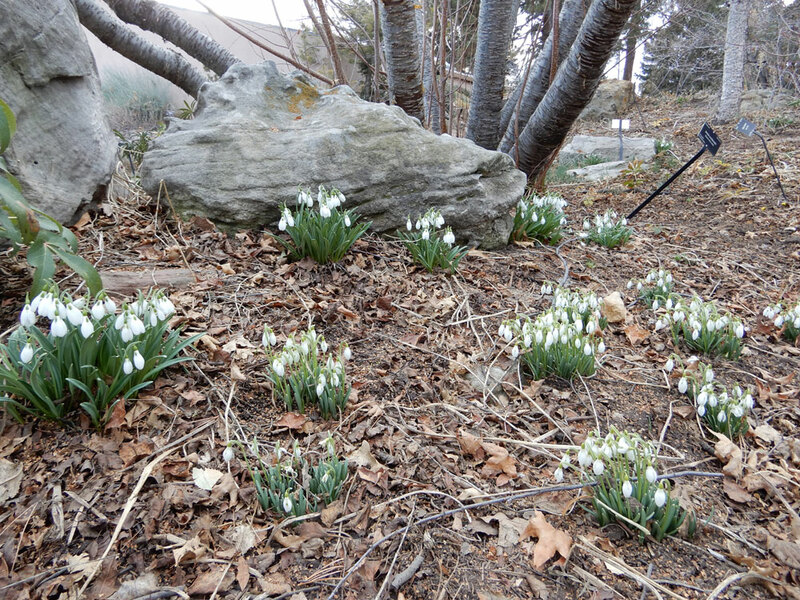 Moving further into the Gardens, the Rock Alpine Garden has masses of minor bulbs scattered throughout its many beds. 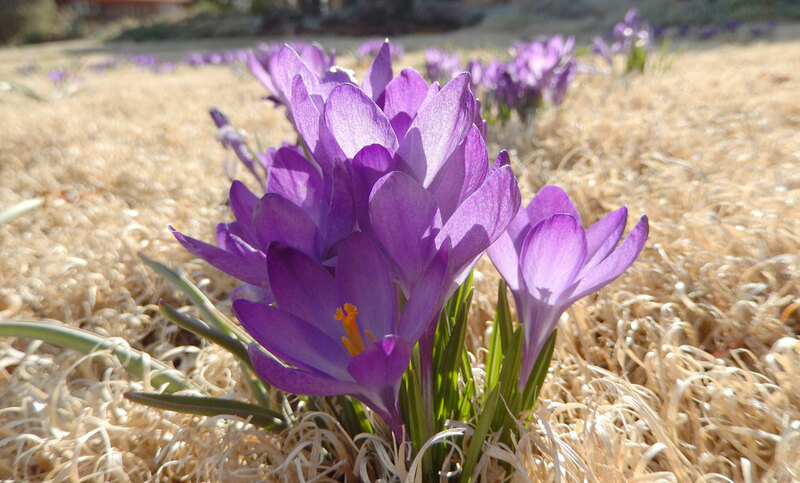 In March, dwarf iris and crocus color the meadows in shades of blue, purple, gold, pale yellow, and violet. In wooded areas, Siberian squill and glory-of-the-snow mimic one another in color and shape until closer inspection reveals that squill nods and glory-of-the-snow points up, showing pollinators the views of their stamens.